Finally, A CSS Only Solution To :hover on Touchscreens — This issue may finally be solved by the new Level 4 Media Queries. Build, Test & Deploy Better Android Apps Faster with Automation — Preparing builds, signing the release, messing with Google Play store – all this stuff requires extra effort that could well be invested into actual coding. 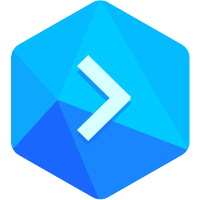 Get started with Buddy for free and build better mobile apps faster. Building a Real-Time Earnings Tracker into Uber’s New Driver App — How Uber’s mobile engineering team developed a real-time component in the newest version of its driver app. Machine Learning in Flutter — A step-by-step tutorial to help you build Flutter apps leveraging Machine Learning. In Search of The Miui Browser — The Miui Browser is one of the few surviving non-Google Chromium browsers on Android outside of Samsung Internet. Support for AndroidX in NativeScript — A look at the impact of the change from the Android Support Library to AndroidX and how to begin planning for the migration in a NativeScript app. Create an Ionic 4 PWA with Capacitor — Learn how to build a Progressive Web App with Ionic 4 and Capacitor, taking advantage of the many benefits of PWAs. Best Practices for Responsive, Multi-Screen Designs — UXers from Adobe, SunTrust and Microsoft offer up their best tips for responsive design and share best-practices for multi-screen design. Learn to Build Decentralized Blockchain Apps in 60 Minutes — Blockstack makes it easy to build applications that protect your users digital rights and enables exciting new ways to monetize. Why Xamarin for Mobile Development — An overview of the Xamarin technology stack for mobile development. 21 Useful Open Source Packages for React Native — A worthwhile list for React Native devs with descriptions and simple examples. Hawkeye: Conduct Eye Tracking Tests with Your iPhone — This iOS eye-tracking tool is intended for use in a lab setting with knowing participants.